Okay. I can't contain myself any longer, I have to tell you about my friend's pickle/jam business because it's so cool and, well, so very Bay! Check this out: The brand is called INNA pickle INNA jam and is the brainchild of Dafna Kory. She makes crazy delicious pickles and jams using the best organically grown local ingredients which are hand picked and hauled by bicycles. No carbon footprint here. 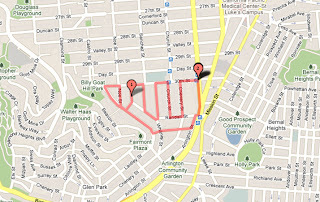 If you live in the flatter parts of the Bay area, the jams and pickles can be distributed right to your door by bicycle too. 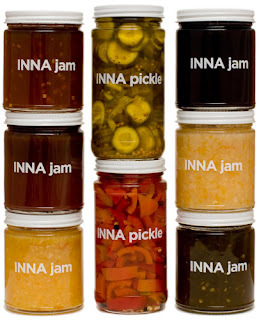 If you live on a hill or out of the area, check out http://innajam.com/ for other delivery options. Sorry, but because the pickles are perishable, they can't be shipped in the mail. 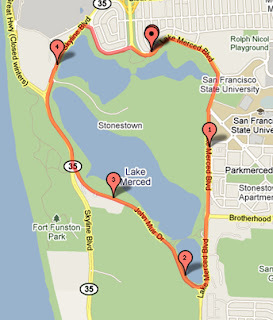 Just add "Eat a jar of INNA pickles" to your list of reasons to visit the Bay area. Because I buy so many jars of INNA pickle INNA jam, I just ordered an annual subscription today, which is a very good deal. 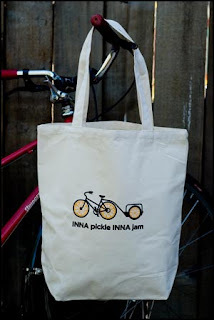 Not only is the bulk rate on the jams and pickles just right, I also get this gift tote bag! 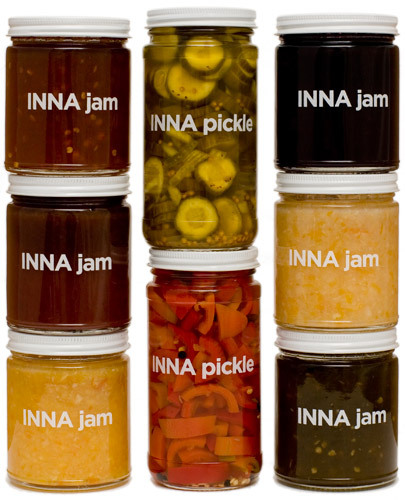 I'm really excited to get my first delivery of INNA jams at the end of May. 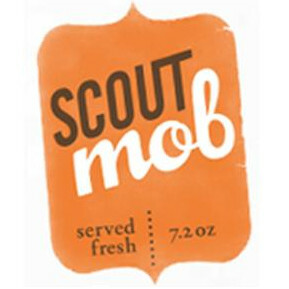 The spring flavors have been announced and I can't wait to try the blood ORANGE jam. Yum!